What’s an office space without a printer? Not very useful, that’s what. Even though it has become commonplace to reduce one’s carbon footprint via conservation methods, we at JBM Office Systems Ltd. know that most places of business, from home offices to large corporations, still need to print the occasional document. Office technology itself has adapted to include business machines serving more than one function, and that means the dedicated printer is – not quite, but almost – a thing of the past. We say “not quite,” because new, dedicated models from Lexmark offer conservation options while maximizing quality and print function. In fact, a whole new portfolio of Lexmark printers and multifunction printers (MFPs) has IT departments swooning over standardizing their company’s fleet of machines, all the while improving on methods of conservation and functions offered. 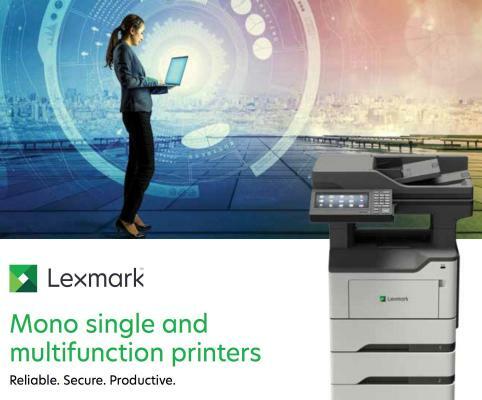 From small desktop printers to fully configured departmental MFPs, these new Lexmark devices share attributes that make them easy to manage and easy to use – which at JBM Office Systems Ltd., we believe translates to a boost in productivity, for any size of business. New designs for the Lexmark portfolio offer everything you’ll love – like speed, quality, reliability, energy conservation and security – and very little you won’t, according to our JBM team members. Lexmark loves to recycle your used toner cartridges, via the Lexmark Cartridge Collection Program. Seriously, what’s not to love about this? Imagine standardizing your office’s whole printer collection to something as rugged, intuitive and functional as this Lexmark portfolio. Choose from five new monochrome printers; one new dedicated colour printer; six new monochrome MFPs and two new colour MFPs. Whether your business is large or small, there’s a Lexmark dedicated printer or MFP to suit your needs. You don’t have to work too hard to find them, either, because at JBM, we can hook you up! To learn more about Lexmark’s new portfolio of printers, visit Lexmark Canada HERE. To meet with a JBM Office Systems Ltd. consultant, call our office at 905-641-4442, or get in touch via the contact us HERE. JBM is a locally owned and operated family business, located in St. Catharines since 1987. We service the entire Niagara Region, Haldimand County and Hamilton-Wentworth, providing leading-edge document management solutions, document imaging and mailing solutions.